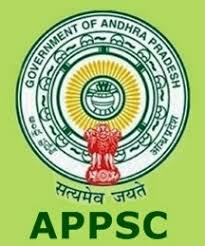 Andhra Pradesh Animal Husbandry Department - AP AHD published an official notification for Recruitment of Veterinary Assistant Surgeons for 256 posts. Eligible candidates can apply for this recruitment. You can view more details about this recruitment including No. of posts, name of post, Educational qualification, Age limit, Selection process, How to apply etc... You can also view official notification and other important facts about this recruitment e.g. Important links and Important dates. Must possess Bachelor's Degree in Veterinary Science& Animal Husbandry (OR) its Equivalent Qualification from any recognized University / Institution in India or Abroad. Must possess Post Graduation with subject of Specialisation fields of Preventive Medicine subject in Microbiology / Parasitological /Pathology/ Epidemiology / Virology / Immunology / Bio-Technology and Veterinary Public Health Institution in India or Abroad for Class B of category (4). Should have attained the age of (18) years and should not have completed (42) years of age (As per G.O. Ms. No.132, General Administration (SER.A) Department, Dated: 15-10-2018) as on 01-07-2018.